GM YURY SHULMAN, 2008 FOXWOODS OPEN CHAMPION! All prizes are proportional and will be raised or lowered based on number of entries. 1/2 pt bye available Rd 1 ONLY. Checks payable to Rishi Sethi. BRING BOARDS, SETS, CLOCKS—NONE PROVIDED! Chess and gambling in the old days. National Geographic magazine stated a few years ago that world wide more money was spent via recreational gambling than all the money spent on food, legal, and illegal drugs combined. The culture of the early to middle of the last century in Boston actually catered to a different type of recreational gambling whether it be under the table gambling or wagering, having no state sanctioned lottery or casino with taxation, and very few traveled to casinos at Los Vegas or Atlantic City then. Gambling was entwined in recreation that had old country origins with horse tracks and dog tracks attracting people as did boxing; all of these industries are now dying as are their customers. People gambled via informal wagers or employing the dark side as a middle man. It was a time when everyone played "the number" and played football cards. Every payday my dad would cash his paycheck at the local bar, pay his tab, and transact with the local bookie. BTW his bookie attended my dad's wake to say goodbye to a good friend and solid customer, somehow I don't see Mass State Treasurer Timothy Cahill doing the same. When I was six years old and giving my grandfather Frank Power SR. trouble in our skittles he called in the heavy artillery -- BCF member from 30's thru the 50's my great uncle Justin "Ducky" Power. He taught me both openings: the Giucco Piano & Captain Evan's gambit. 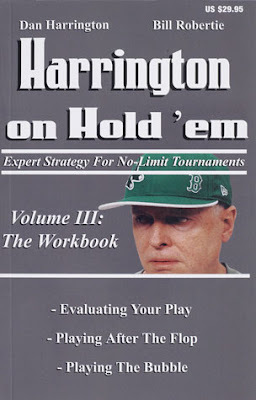 He is the reason I am playing OTB today. In addition I learned about gambling from watching my Uncle Ducky in action while I was a caddy at Franklin Park Golf course in the 60's. Uncle Ducky told me to always plant in your opponent's mind that they lost because it was a bad break, a bit of luck, where one better executed shot would have won (Ducky Power a man who shot 69 at the age of 69 - when he had to) but never nuked an opponent he was gambling with. He also warned me if you are gambling and you are thinking you need just a little more to win: you are being had; pay up and walk away. A decade later I watched a very similar process while a young Jim Rizzitano would earn lunch money playing speed chess at the old Boston Chess Studio on Newbury Street against adults during 1970's. There was some gambling in the smoke filled back room of the Boston Chess Studio, very little happened out of doors at Harvard Square in Cambridge, but where it occurred big time was in the old YMCU/Young Man's Christian Union, home of the BCF. The 70's introduction of Backgammon increased the incidence of all types of gambling. Backgammon has the doubling cube, the average game lasts 11 minutes, and the presence of dice gives the appearance that luck plays a bigger role than it does. This makes Backgammon most seductive for gambling. Similar to the current wave of poker this past decade has had in redirecting many OTB players of today, as backgammon had in the 70's. When people gambled in the YMCU no money ever passed hands in public, score was kept in a match book and both parties would retire to the men's room to pay up. I vaguely remember a +.25(cents) victory over Robertie one time. I can't say I have ever beaten any world chess champ yet. Fortunately today chess gambling happens in broad daylight in parks. And chessplayers being a frugal bunch don't gamble much, so people attracted to gambling are playing poker because today it's the game that attracts the most money with the dumbest participants. Chess a game of skill where luck manifests itself only in opponent oversight; very different than the roll of the dice or the card that is dealt which seems to provide a randomness that could offset skill. As my Uncle Ducky would say: that's the margin that enables him to make money. In the first round of the Foxwoods Open (March 19-23), teenager Chris Williams of Boston Blitz and "Chris is Awesome" fame, defeated top-seed and U.S. Champion Alexander Shabalov in a thrilling game. This makes for a 440 point upset, and raises hopes for a very exciting Foxwoods. Can you guess what Williams played in the following positions?I. In light of the above variation, Alex avoided the queen trade, and they reached the following position after 33 moves. II. Here is the full game: Participating GMs include Yury Shulman, Julio Becerra, Alexander Stripunsky, Alexander Ivanov, Darmen Sadvakasov, Eugene Perlshteyn, Keith Arkell, Pascal Charbonneau, Ildar Ibragimov (who drew in round 1 to Alisa Melkehina), and Mark Paragua. Check out the round two pairings here. Beginning with round three, live games will be available on Monroi.com. Read Jonathan Hilton's blog after the first round, and watch for more by Hilton from Foxwoods and from Michael Aigner from the Far West Open in Reno. The great chess books are great less for their prose style than for their insight into the application of highly controlled violence. "My 60 Memorable Games" was written while Bobby Fischer was still on his steep ascent to the world-champion title -- and long before the slide into madness that ended with his death in January. He recounts his eviscerations of some of the most brilliant minds of the mid-20th century. 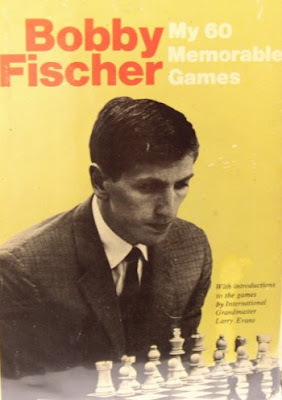 But Fischer was never content with victory alone; he aimed to inflict agony on his opponents -- in his own words, "I like the moment when I break a man's ego." Where did such ferocity come from? 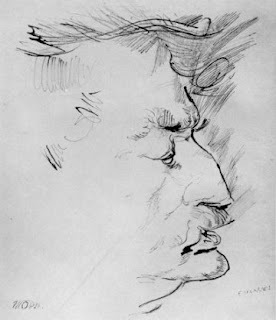 Fischer, who never knew his own father, once explained that "children who grow up without a parent become wolves." 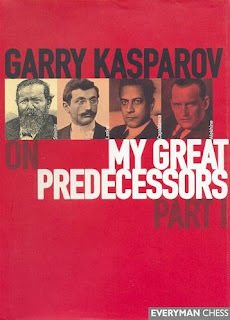 Before Garry Kasparov ended his playing career in 2005 to battle for democracy in Russia, he was rightly considered to be the greatest grandmaster of all time. But here he humbles himself charmingly before giants such as world champions Wilhelm Steinitz (1836-1900) and José Raúl Capablanca (1888-1942). 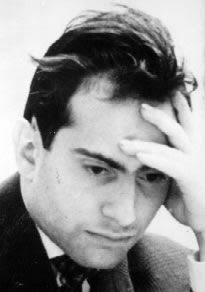 In this comprehensive study of grandmaster play -- from the "Italian school" of the 16th century to our current postmodern synthesis -- Kasparov aims to connect his forebears' playing style with "the values of the society in which they lived and worked" and the "geopolitical reality" of their respective eras. The result is a work of unparalleled depth, spirit and ambition -- it already stretches into five volumes, and a sixth is on the way. 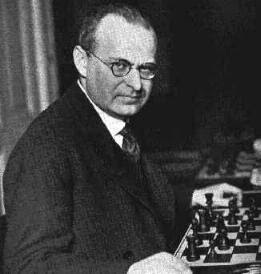 Aron Nimzowitsch (1886-1935) described "My System" as a "chess manual" based "on entirely new principles." His idea that pawn masses at the center of the board might be a liability -- vulnerable to attack from the flanks -- was revolutionary, toppling verities and generating fierce resistance. "The reward for my new ideas consisted of abuse," he wrote bitterly, "or at best systematic silence." Today, nearly a century later, he would delight to know that his "hypermodern" approach is widely accepted. 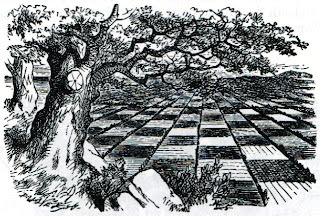 But if Nimzowitsch's "My System" aimed at rationalizing chess, as the title suggests, its premise was supremely romantic: "For me," he wrote in a characteristic passage, "the passed pawn possesses a soul, just like a human being; it has unrecognized desires which slumber deep inside it and it has fears, the very existence of which it can but scarcely divine." The German mathematician Emanuel Lasker (1868-1941) wrote in his "Manual of Chess" that the game "would be laughable, were it not so serious." After decades of studying philosophy, he came to believe that truth could be found only in mathematics and chess. Of the contest of wills between two players manipulating 32 wooden pieces on 64 squares, he wrote: "Lies and hypocrisy do not survive long. The creative combination lays bare the presumption of a lie; the merciless fact, culminating in a checkmate, contradicts the hypocrite." Lasker, a close friend of Albert Einstein's, won the world championship in 1894 and held the title for 27 years, the longest reign so far. 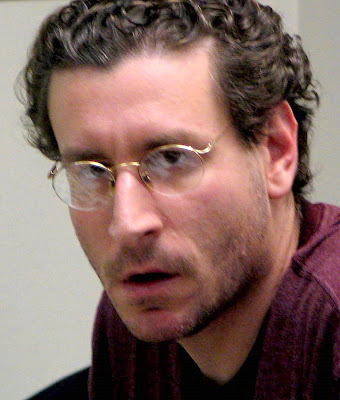 Mr. Schoenfeld, the senior editor of Commentary, is a chess columnist for the New York Sun. What: Four round Swiss system tournament, sections based on April, 2008 published rating. Rounds: Round 1 at 9:30 AM; others as soon as possible. Entry Fee: $15 if mailed by Tuesday, April 8 or online at www.MassChess.org (via Paypal) by Friday, April 11. $20 on site day of tournament. Prizes: Trophies to the top three places in each section. Medals to all players who score at least 3 points and who do not win trophies. Questions: Maryanne Reilly, mcreilly2001@yahoo.com. MACA web site http://www.MassChess.org. 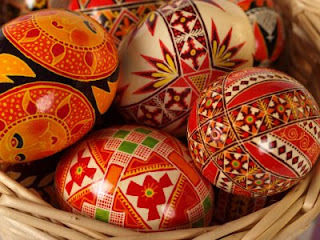 If you're not looking for Easter eggs on Sunday, maybe you'll be looking for a chess game or two. Entry fee: $15; $10 for Boylston C. F. members, join at the tournament and get the member rate. Prizes: $30 1st per Quad, 2nd Medal . When is the proper time to resign? In the book "Chessmaster at any Age" Rolf Wetzell recommends that you not waste your energy in a tournament fighting a hopelessly lost battle, but let the game go, resign and prepare for the next round. Several years ago in the Mass Open I faced a Wetzellite. Obviously because he dropped his flashcards on the floor before our game started. Me with white developed a hellacious attack having pieces swirling around my opponent’s king, No forced mate was yet obvious nor did I have any substantial material advantage, but it was obvious he was in trouble, and he subsequently resigned to my surprise. David found this short interesting and displayed charity when he named me "NN" when publishing this short in the MACA magazine July -September 2007. I usually resign quicker than usual when playing a very strong master - firstly out of respect and secondly in the hopes they are willing to take time to review the debacle. I would rather spend the time learning something from the bad experience than being tortured to death. And I have found that pain is the best motivator for me to remember what I did wrong. But normally I don't resign an obviously lost game until I have 99% confidence that given my opponent’s technique and the condtion of the position will bring my loss. Under two situations I have played to the bitter mate or much further than above mentioned. 1. Anger at an opponent: One time about six years ago at game start a strong former-Soviet expert flipped his cigarettes by the set, made a grimace and grunt with no other response when I stuck out my hand. He gave me the impression that he was insulted to be sitting and having to waste his time killing this fish. Hitting like a hot poker was the decision that mate, stalemate, or naked kings would be the only way this game would end. Almost four hours later by some miracle I had an outside h pawn flying up the board (my 5 pawns and rook vs his 6 pawns and rook). As we were both in time pressure to meet the first control; our rooks both acting like PacMen gobbled up all of the pawns but one each. I was losing when all of a sudden the story of Walter Brown being unable to win a Queen v Rook ending against a computer flashed into my head. I realized I could arrange for that outcome and gleefully for the next two hours danced my king around my rook. Time and time again my opponent tried to pry them apart with his queen and king but did not know the technique. Unfortunately I was 5 minutes behind him and time running out. I no longer had time to keep score (analog clock) the mistake I made was not asking a director to count the moves because we clearly broke 50 without capture, and so my flag fell after 5 hours 58 minutes. One of my most enjoyable losses. 2. 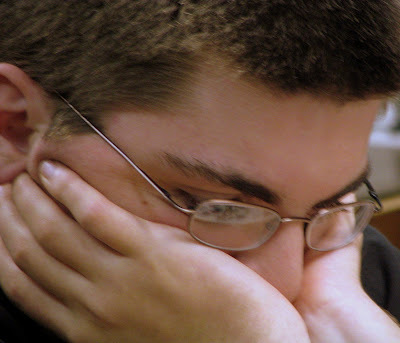 More common is anger at myself: Once in a while especially if it's the first round, having lost enough material without initiative making my game fatal, I play on just to get exercise for my brain because I want to get ready for the next game. This self flagellation probably doesn't make my opponent happy. I've seen kids and beginners play on forever, and my chess nemesis always does. I try not to get offended about this because it's within my opponent's rights to play on as long as they play by the rules. What is your feeling about the proper time to resign? Do you have any interesting stories about this? 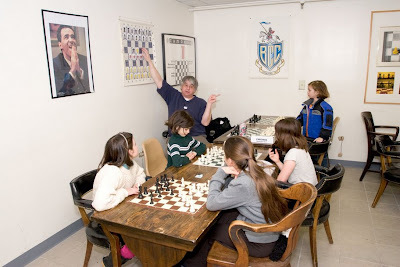 Tony Cortizas captured some moments at the Boylston club, where FM Chris Chase teaches youngsters chess. In addition to being an active and strong tournament player, Chris has an uncommon knack for developing enthusiasm and skill in novice players. 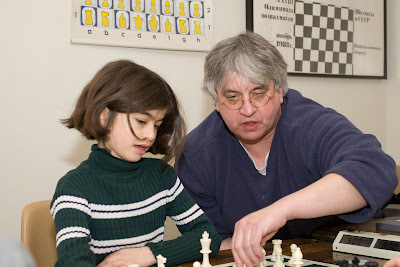 The weekly, Wednesday lessons are free to club members and supported by contributions to the Boylston Chess Foundation. Xiao Ren, my girlfriend, was worried about her weight so she dragged me off to go skiing. As soon as she set foot on the slopes, however, she tripped and sprained her ankle. I visited her every day, but our conversation soon dried up and we started looking at each other, in silence. Then, one day, she announced: "Let me show you how to play go." Chinese chess, or go, is something I associate with hermits dressed in long robes, who lived in the mountains and rode on red-crested cranes when they visited friends. Xiao Ren stroked my hair and laughed heartily: "Your teacher, me, started learning go at 6 and followed many masters. I was the only level-two woman go player in the city." Learning go should start with the basics. For example, one must learn to distinguish good quality pieces by raising them to the sun and determining their translucency. One must also learn to adopt an elegant style when picking up the pieces and putting them down. I soon discovered that learning the game is not fun, especially with my meticulous teacher. The first time she finished explaining a match to me, she cleared away all the pieces and asked me to repeat each step - without making a single mistake! To impress my girlfriend, I gave up my hobby of sleeping for an extra hour on the weekend. I learned from other beginners on the Internet. With this new hobby, I suddenly found that time was disappearing faster. The sun would be shining in the east when a game commenced, but the lights would be on by the time I looked up again. As our department drafted its new year's entertainment plans my boss, Mr Cao, said: "I really want to take part in a go match. But I haven't practiced for years. I heard you are learning it now. Perhaps we should play a few games." Cao is not an amiable leader. Even seasoned colleagues are nervous in front of him. As a newcomer, I wanted to impress. So everyday at noon I played chess with him. A week passed, I didn't win. If I was to always lose, my boss would look down on me. I told my girlfriend about this and she was quite happy to review each game we played. Three days later, my dear teacher had found Cao's weak points and showed me some mighty strategies. The next day, while we were counting our gains and losses over the last stage of the game, Cao looked at the board and murmured: "Man, one should never waste one's youth. If someone wants to be prominent, he must endure great hardships." The office was quiet. His words struck my heart and my back was covered with a cold sweat. Was he saying that I didn't work hard enough? A few days later, we learned at work there was a chance to study abroad. I didn't join the fierce fight. But my boss gave me the chance. "The strongest fragrance of plum blossom comes from the coldest winter," my girlfriend said. "I'm going to learn guitar. Do you want to learn?" On Saturday, March 15 there was a very successful $10 Open at the BCC - in fact, it was one of the largest and strongest open, Swiss tournaments we've had in many months. 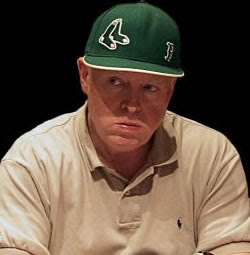 43 players entered, including 2 IM's (Vigorito and Yedidia), 5 masters (Riordan, Chase, Cherniack, Godin, and Times) and 8 experts (Calhoun, Plotkin, Chinodakufa, Goodman, Theil, Noy, Yeh, and Mays) in the Open section, won by Riordan and Chase with 3.5 each. 13 players contested in the U1800 section, won by Nicholas Zhang and Seth Lieberman, also with 3.5 each. Thanks again to Bernardo Iglesias, the able and patient Tournament Director. To ask some parents, one might be surprised to learn a student's most vulnerable time is right after school, when they are searching for activity and often lose their way. Students at Carver High School in North Philadelphia were winners of the Philadelphia Chess League Championship two weeks ago, a proud title they have never borne before. Just last week, the Philadelphia Scholastic Chess League, comprised of 24 high school teams from around the city, went to state championships in Harrisburg and finished fourth. With help from the After School Activities Partnerships (ASAP), which recruits school-age youth for constructive pastimes like chess, Scrabble games, yoga and debate, students are able to put their restiveness to good work. Dr. Marciene Mattleman, president of ASAP, said this is the first time Carver High School has won a chess competition against the ever-victorious J.R. Masterman High School - a 10-year-in-a-row winner. "Eighty percent of the kids in Philadelphia public schools come from home incomes so low they are eligible for free or reduced price lunch," she said. "The most violent time for kids is from 3 to 6 p.m., and there are about 35,000 kids alone in the afternoon. This is the time when kids get into trouble, are victims [of crime], and many of them are just home watching TV or playing computer games." Lee Silverman, chess coach at Carver High, said the Philadelphia Scholastic Chess League now has 220 active chess clubs with 3,000 participants playing weekly in schools, recreation centers, libraries and other community-based centers. "Everything we do teaches skills, respect for rules and guidelines and discipline," he said. "It teaches [students] how to win and lose gracefully." But the true heart-warming story goes beyond the underdog upset of Carver High against Masterman. "Our team is a bunch of inner-city kids," Mr. Silverman said. "Four out of five [students] come from broken homes, are immigrants, or don't have a mother or father." Mr. Silverman, who said he was happy to volunteer his time, money and effort to seeing the students succeed, gave credit to Carver High principal Linda Ahmed for making the league possible. Israel Riley, a senior at Carver High, said he first took interest in chess in ninth grade, when he saw a lot of his peers playing it. "It's imbedded in me," he said. "I saw that it was a great competition. Chess challenges your mind and I think that is what is really necessary in life, even over physical strength and ability." Mr. Riley, who is poised to graduate in June, said chess has helped him pursue his future business goals. Much of the financial support for the chess team is from sponsors like the Philadelphia Eagles, the Annenberg Foundation and PECO. ASAP offers a variety of after-school activities, from bodybuilding and lacrosse to art and dance programs. Ruben Fine said "Chess is a difficult game." Obviously more difficult for some than others. The experience of raising two kids with dyslexia gives me unique insight having watched with the utmost respect, pride, and love while my two dragged their butts into school every day, year after year, and fought the good scholastic fight to obtain terrific learning skills in spite of a huge starting disadvantage. In contrast to their situation was my oldest son, the "normal" one (800 SAT verbal), who was the master of his educational dojo. On one side school a place full of rewards and adulation, on the other incredibly hard work and uncertainty. Fortunately they all have turned out great, are all successful, despite of having to deal with defective genes donated to them from their crazy old man. Love of the game of chess takes many forms; you can understand why Captains of Chess, the masters, arrive to play OTB with enthusiasm, confidence, and anticipation. But you have to ask why do people who are stuck on the bottom rung of the chess ladder show up to play? Many of them just as happy and excited to play as the ones on the top?! stands paramount, given his record in the 1990's. Paul noted for his cantankerous demeanor, displays of unhappiness in losing, and impeccable Bruins sweatshirts. 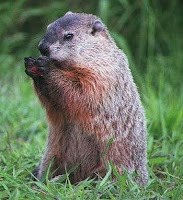 Paul never gave up his passion of playing OTB chess until his health failed. 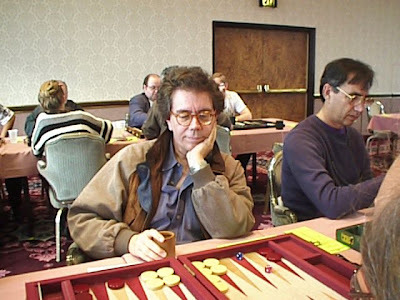 If you go into the USCF cross tables you will see that from August 1993 until May 2000 Paul's rating began at 1012 and ended at 766 having played in 108 tournaments (he was a common BCF houseman), in an estimated 200+ games of the period he had 13 wins and 1 draw. Paul had a power that would make Bobby Fischer envious, Paul's defeats crushed chess ego's: most people Paul defeated left tournament chess very quickly. There’s a certain Je ne sais quoi about Paul's paradox, and I feel players like Paul have an equal right to play and should be given respect as it always takes two people to play OTB chess. As demographics show, adults and teens are dropping out of OTB chess at accelerating rates. Will there be a day when no one arrives to a chess tournament? I do feel that with ever expanding entertainment options of these modern times chess seems dated to many outsiders. Somehow we have to find a way to communicate with the public the sublime joy of the inner journey every player makes in their personal quest in trying to master this infinite game. Comrades! We who love this form of the game, we need every opponent willing to play, better yet we have to involve all who love the game. Each should find their way to donate and invest some time and effort to promote chess: in order to make OTB chess better known and more available. A team consisting of three grandmasters (Zviad Izoria, 24, of New York; Eugene Perelshteyn, 28, of Swampscott, MA; and Roman Dzindzichashvili, 63, reportedly living in Massachusetts) teamed up with 5-year-old Stephen Fanning of Hull, MA to win the 2008 World Amateur Team & U.S. Team East Championship, held Feb. 16-18 in Parsippany, NJ. Bearing the name of "GGGg," the team won all its matches, 6-0. It was intially ranked 47th in a field of 291 teams, with an average rating of 2017. Izoria, Perelshteyn and "Dzindzi" had ratings of 2714, 2592 and 2586 respectively, with Fanning bringing up the rear with a rating 178. Both Perelshteyn and "Dzindzi" tallied 6-0 individual scores for boards 2 and 3 respectively. The prize for the top MA team went to "There Will Be Bloodgood" (GM Larry Christiansen of Cambridge, FM Paul MacIntyre of Malden, Andrew Wang of Sharon, and Natasha Christiansen of Cambridge - all MACA members) [and all Boylston Chess Club members ...rjo], who tallied 5-1. They were initially ranked 9th with an average rating of 2197. A record total of 1251 players competed in the three-day event. More than a half-dozen other MA teams participated in the championship. Welcome to a new New England chess club serving the RI community. Come visit the Blackstone Chess Academy. This new chess center will host a variety of chess activities: casual play, club style tournaments, weekend tournaments, and more. adjacent to Interstate 95. It is just a few minutes from the East Side of Providence, less than 20 minutes from Warwick, Barrington, and Attleboro, and about 30 minutes from Woonsocket, Franklin, Walpole and Fall River. Members receive discounted entry fees to tournaments,invitations to special events, and enjoy the use of the club. A family membership extends these benefits to all members of a single household. A youth membership is available to USCF youth members. Magnus Carlsen, 17, edged closer to the No 1 ranking at Morelia-Linares, which ended last night. The Norwegian began slowly but was soon chasing the world champion, Vishy Anand, who led throughout. With one round left, Anand had 8/13, Carlsen 7.5. Fide's ratings due on April 1 could put Carlsen as high as No 4 in the world. Bobby Fischer was in a similar spot when he was 17 in 1960 but Carlsen's situation is better, since he is 15-20 years younger than the top pair Vladimir Kramnik and Anand. 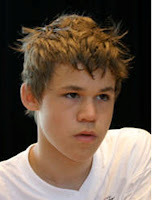 Carlsen could head the rankings in a year or so but he may have to wait longer for the world title. He has to qualify via the World Cup, a chancy knock-out, or via Fide's new Grand Prix series, which looks vulnerable to the global recession. The English GM Stuart Conquest sealed his adjournment move as White here, then went off to dinner. His opponent preferred to go hungry and spent the hour-long adjournment analysing. The resumed game lasted two moves on each side including the sealed move. PROBABLY the strongest chess-playing billionaire is Joop von Oosterom, the legendary sponsor of one of the most prestigious tournaments in the chess calendar, Melody Amber. I “guesstimate” Joop‘s playing strength about 2400 or even higher and his forte is correspondence chess where he is the 18th and 21st World Correspondence Champion. He founded the IT company Volmac and is estimated to be worth 1 billion euros. Many people do not know it, but a lot of wealth in Silicon Valley is built by very strong chess players, which is not surprising. Paul Allen is an avid chess player and co-founder of Microsoft together with another chess player, Bill Gates (whom I featured previously to be worth $56 billion) and estimated by Forbes to be worth $28 billion. Microsoft is in the limelight lately with an offer to buyout Yahoo for $41.7 billion. He has investments in Vulcan Inc., Charter Communications, Digeo etc. and owns the Portland Trailblazers of the NBA. He plays regular chess with his college roommate, Bert Kolde, the chief operating officer of Digeo. Lawrence Elison is the co-founder and CEO of Oracle, a major enterprise software company. His net worth is estimated at $26 billion. Oracle is the world’s second largest software company after Microsoft. He used to play tournament chess and says he puts a lot of time on his game. Roelof Botha is a venture capitalist at Sequoia Capital focusing on services and software investments. Prior to that, he was chief financial officer of PayPal (e-bay) and funded YouTube before it was sold to Google for $1.65 billion. He also sits on the board of Meebo and Xoom. He plays master level chess. Peter Andreas Thiel is a hedge fund manager, and venture capitalist. With Max Levchin, he co-founded PayPal and was its CEO. He currently serves as president of Clarium Capital Management LLC, a global macro hedge fund with nearly $3 billion under management.He also sits on the company’s Board of Directors of Facebook. He was at one time a promising chess player. 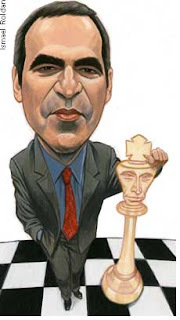 Ebay founder Pierre Omidyar was fascinated by chess and spent some time studying the game . One of the first web-based programs he wrote was chess-by-mail service. Ebay is an online auction and shopping website where people can buy and sell goods and services worldwide. Michel Birch is co-founder and chief CEO of the mega social network Bebo. He hosts the “Chess 2.0” Silicon Valley Chess Club at the Bebo office in San Francisco. Bebo, like MySpace, provides its more than 23 million users with a kind of prosthetic personality extension: a profile page where they can post diary entries, photographs, music, homemade video etc. The well-hyped search company Powerset is headed by co-founder and CEO Barney Pell who happens to be a very strong chess player. Powerset is a natural language search engine trying to challenge Google. David Cowan of Bessemer Ventures is a self-admitted “chess nerd” who joined Bessemer Venture Partners in 1992. He has since made 45 early-stage investments for Bessemer, including 19 that have gone public, and 18 that have been acquired by public companies. The first Forbes Midas List ranked David among the world’s top 10 venture investors. He says that he is addicted to Yahoo chess. Auren Hoffman has already built and sold several companies in Silicon Valley and is now working on his fourth, RapLeaf, where he is founder and CEO. Among his pastimes are football and chess. Cepca news. Joe Atillo, tournament director of the club, has announced that our March competition will be on March 16 at Deep Blue SM starting at 1 p.m.
Kiddies and Juniors will be on March 23 same time and venue. NM Nicholas Nip made chess history today by becoming the nations youngest Master in history at the age of 9 years 11 months, shattering GM Hikaru Nakamura's record of 10 years 3 months. This record is one of the most prestigious accomplishments in American scholastic chess. Nicholas is the first 9 year old Chess Master in the history of American chess. To give you an idea, Bobby Fischer broke this record many years ago as a 13 year old. Nicholas managed this remarkable feat in 75 tournaments in a time frame of 3 years and 3 months. Nicholas's rise has been nothing short of meteoric...a constant rise with very little stalls or setbacks. In Nicholas's very first tournament he won the 1st grade championship title in the Northern Cal Regional Championships. From that time until now, Nicholas captured several prestigious titles including K-3 national champion (won while in 2nd grade), Calchess State Kindergarten, K-3 and K-6 Championships. Nicholas has a FIDE rating of 2143. In the last 6 months Nicholas has had a positive score against NM’s including wins against many notable Bay Area NM's. 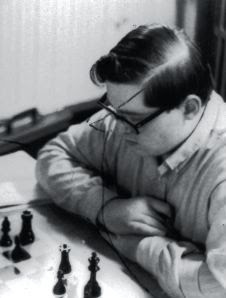 Despite his young age, Nicholas has managed in his short chess career to be a consistent winner. Today Nicholas went undefeated in a Mechanics Institute Quad including a dramatic win against 2339 rated NM Ronald Cusi. Nicholas was in a dominating position, which Cusi struggled to hold in time pressure before finally losing on time. This result was enough to lift Nicholas from 2187 to 2207. Of course Nicholas will be taking a short break from chess until the next supplement comes out! Chess fun sometimes has to be sacrificed for the sake of chess history. Although Nicholas has managed to achieve one of his major dreams by becoming youngest master in history, he has many new lofty goals set for himself. Recently Nicholas has said he dreams of becoming a GM and (adult) World Champion of chess. Nicholas has been proudly coached since age 6 by the husband and wife team Liina Vark and Eric Hicks, and has been a student in the Academic Chess program ever since he learned the rules as a kindergartner. NOTE: Any other news sources have permission to reprint or reproduce any part of this article including photo. Equilibrio Films, LLC is seeking chess masters to participate in an instructional video project for the largest “how to” internet database in the world. We are searching for volunteers in the New England region to create tutorials that cover all aspects of the game. Instructional series can range from introductions for beginners to more advanced lessons; all skill levels are needed. Previous on-camera experience is not required, but it is important that participants feel comfortable speaking clearly and directly to a camera. Compensation for this project starts at $120 minimum per day and shoots usually last between 4-6 hours. One added benefit of participating in this project is the ability to embed/link the finished video to a personal or business related website. Our shooting schedules are flexible but we are looking particularly for people who are willing to do multiple shoots. Please feel free to share this information. If you feel you may be interested in this project please contact me for more information at (413) 367-0093 or send me an email at hans@equilibriofilms.com. 125 E. Chestnut Hill Rd. Arriving at a chess tournament I want to feel calm and ready, and start with my mind in a certain state. This mind calibration has caused me to develop some superstitions, but I'm not alone. These actions are contrary to four years of playing high school varsity tennis where I never could accurately predict my results based on how I felt after my warm-ups or evaluating how my opponent looked during their warm-ups. Every preparation for a tennis tournament seemed different from the last. Superstition is based on the illogical assumption that some disconnected behavior has a causal connection to how well you perform. I bet Bill Belichik would have altered his choice of sweatshirts if given a chance to replay the 2008 superbowl. One of the neat things about the Boylston Chess Foundation/Club is that given the high number of events there is a familiarity and rhythm that every tournament assumes and all participants contribute to that regularity. The fact that Bernardo Iglesias directs most BCF tournaments also reinforces this. On tournament day the same people appear to arrive at the same time to play, the same people ask for the same byes for the same round as last week. Contestants typically are carrying the same equipment, holding the same beverage, same newspaper, same stuff, etc. Players tend to sit in the same seat and await for the parings to be posted. If players initiate conversations the subject matter seems to be similar with the same people as the week before. People who are working on their openings referring to a book are the ones who were doing this last week as well. A little bit like the movie Groundhog Day. Understandably these behaviors do contribute in preparing ones mind for battle, to an outsider this must look funny. My oddest superstition is when on the T train to the BCF while crossing the Charles River; I look for female joggers having the odd belief that my chess day will be better if I spot any. Greater odds of a good outcome probably would be increased if I didn't spot the names of Vigorito or Chase paired against mine. Maybe if I wear my gray Patriots hoodie sweatshirt?! Bay Area rappers San Quinn and Balance will join the Hip-Hop Chess Federation in a special event on Thursday (Feb 28) to teach Middle School in El Sobrante, CA students the importance of choosing a positive lifestyle. The two indie artists will appear on a panel alongside HHCF co-founder Adisa Banjoko, presenting students with a look at how to learn from Hip-Hop and Black History to create effective life strategies, helping Juan Crespi Middle School close out Black History Month. "Too many times, when Hip-Hop is in the news, they're highlighting something negative," says Balance. "We want to make sure we show the kids the positive aspects of what we do and how they can make better choices for themselves." In addition to the panel, Juan Crespi students with an interest in the game of chess will receive free accounts on www.chesspark.com, an online community that brings casual and club players together. The students will also receive a limited number of copies of Ubisoft's Chessmaster 11 game and the book The Art of Learning: A Journey In The Pursuit of Excellence. The Federation, which uses music, chess and martial arts to foster unity and non-violence, believes that giving teens access to athletes, artists and chess players, they will in turn be inspired to enhance their academic and social life. "Despite the system's best efforts and intentions, and the efforts of overworked parents, the past generations have suffered from [a] lack of suitable education and essential resources required for a successful required for a successful life," explains Banjoko. "No one has been able to reach the hearts of today's youth like rappers." For San Quinn, the ability to speak to these kids is mutually beneficial. "It's important to take time with the youth because we had leader to inspire us [too]," he says. "They need to see that we look up to them for being in school. They are the future." Founded by award wining lecturer and author Banjoko and Leo "Blast" Libiran, the Hip Hop Chess Federation provides recreational activities, life strategy workshops, and sponsor-supported education scholarships. The organization's primary initiative is to provide an inclusive setting for individuals to interact, play and develop life strategy skills, based on studies the benefits of chess in developing patience, personal accountability, focus, and emotional maturity. Did anyone hear of his fellow? Or, the "Chess for Children" program? There is a long story about him at the link below, and he apparently ran a chess scam in Newton also. Melrose - A man who has been running an extracurricular chess program for Melrose elementary school students was arrested in Boston Saturday on a warrant for receiving stolen property — and is being investigated by local police over concerns with his chess program here. Christopher Hackford, 20, 263 Huntington Ave., Boston, was arrested by Boston Police on Saturday, Feb. 23, at 8 p.m. in Boston on a warrant issued by Weymouth Police. No details were provided on the type of stolen property involved. Melrose Police Det. Sgt. Barry Campbell said Hackford was also arrested in Woburn last fall — the charges were not available — at which time he told police he was a student at Boston University. Campbell, however, called the school and said the school had no record of him being a student there. When four months ago his daughter was born, attorney-at-law Ian Wilkinson greeted her with a chess piece in hand. That he was rebuked by the doctor in attendance on daughter Tassja and his wife Shawn did not dim his enthusiasm. Chess, he says, will be a big part of Tassja's future. If Ian Wilkinson had his way chess, the game played by one billion people worldwide, would be a big part of the daily life of every Jamaican child. So convinced is he that the game has the capacity to transform the minds and lives of all who play it that he has set up his own company - Magnificent Chess - to take it into schools and colleges. In the last six months some 2,000 children have been taught the game which Wilkinson, plunging undisclosed amounts of his own resources into the effort, hopes will soon attract the attention and partnership of the Ministry of Education and other private sector partners. Ian Wilkinson is a child of the Kingston ghetto who believes fervently in his high school motto, 'The brave may fall but never yield'. Recalling the days when he strolled Text Lane in downtown Kingston barefooted and in torn clothes, he believes that within every Jamaican child lies the potential to excel. Chess, he believes, will deliver the thinking power and discipline which will bring this potential to the fore. On January 5, 1965, Ian Godfrey Wilkinson was born in Kingston. Growing up on Text Lane with mother Inez Ricketts and six siblings, he recalls, "We were very poor," living on one meal a day at times when the crash programme work pursued by his mother ended. Still, she was a woman who 'threw partner' and taught her children values, which were to transform their lives as they grew older. Ian's eldest brother, and also a mentor is Professor Carlos Escoffery, department head of pathology at the University Hospital of the West Indies. Other siblings have also done well. "On Text Lane," Wilkinson recalls, "we knew the gangs but they were men - wearing their gunmouth pants, knitted ganzie and Clarke's boots. "In one gang there might have been 30 men, but there was only one gun and perhaps three bullets. Now the gangs are full of teenagers. A 14-year-old has two guns for himself and enough bullets to stone dog." Ian Wilkinson is convinced that introducing chess can change flourishing the inner-city gang culture. Wilkinson was educated at Calabar All-Age School, Kingston College and the University of the West Indies, leaving the Norman Manley Law School in 1989 as the top student. At Kingston College, he was particularly influenced by principal Ivan Wally Johnson, who usually assured his students that "we should never give up - not as long as we have breath in our bodies." But, when coach George Thompson told him that he would not be selected for the Manning Cup team, Wilkinson cried. To fill the vacuum left by football, he turned to Schools Challenge Quiz, which best friend Seymour Douglas convinced him to join. "I became hooked," Ian recalls. Ian has been involved with KC's Schools Challenge Quiz teams for approximately 20 years, coaching five winning teams (1985, 1992, 1994, 1996 and 2007) and several teams to the final (1986, 1993, 1999, 2002 and 2006). The lawyer, who currently runs his own firm in Kingston and, for the last 17 years, has taught law (Succession/Probate Practice) at the Norman Manley Law School, first learnt to play chess in about May/June, 1999, and played his first tournament in October, 2000. Wilkinson was the non-playing Jamaican captain at the 2002 Bled Olympiad and was elected president of the Jamaica Chess Federation in June, 2003. He was re-elected unopposed in 2003 and also 2007. In December, 2003, he was awarded the Jamaica Chess Federation's inaugural Chess Journalist of the Year award for 2002 for his reporting on the Bled Olympiad, and in 2007 he was awarded the inaugural award for best chess analyst. So enamoured of the game did the lawyer become that within a year he had bought 100 books on chess and its champions. 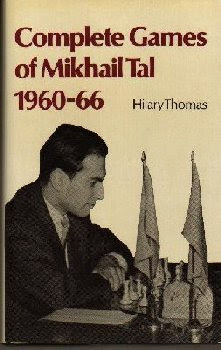 He also engaged in sustained research which led to the writing of two chess books, the groundbreaking Magnificence In Bled: The 35th Chess Olympiad and Excitement Galore: Chess In All Its Glory. The latter is also a historic book, the first of its kind in the English-speaking Caribbean, that teaches people how to play chess in a simple, yet entertaining, fashion. Today, Ian Wilkinson is the chairman of Magnificent Chess Foundation (MCF), an entity conceived by him to pioneer the teaching of chess across the length and breadth of Jamaica, particularly in schools. Wilkinson is author of two books on the game of chess. Through MCF, he hopes to make Jamaica a veritable "a nation of thinkers". Chess, the lawyer states, can revolutionise the way Jamaicans think and reduce crime and violence significantly, while improving the educational and socio-economic life of the country. "Every time I go downtown to attend court I drive through the old areas. I talk to the youths and ask, 'Why are you killing each other?' Now, downtown, there is one don for every street. I have to see what I can do to make it right," he explains. "Kids who play chess are not violent. Chess itself is a battle, but it is a war conducted with your brain, a fight to outwit your opponent." Research has documented endless benefits. Within chess, he says, lies a game which will impact the individual psychologically, socially and provide excellent networking opportunities. The lawyer was elected in 2006 in Italy by the world chess governing body to serve as a judge on the World Chess Court (the Ethics Commission) and sat on the newly elected court's first sitting in Greece in July, 2007. The court presided over a number of matters, including the controversial 2006 world chess championship dispute between two world chess champions - the Russian Grandmaster Vladimir Kramnik and the Bulgarian Grandmaster Veselin Topalov. On December 9 and 10, 2006, Wilkinson's Magnificent Chess Foundation hosted its very first chess event - The Frederick Cameron Chess Open. This tournament had the highest number of attendees in 15 years for a tournament held in Jamaica. "It is our intention to continue to break, and set even more, attendance and participation records here," Wilkinson states. Meanwhile, the push to get it into all local schools will continue. Ian Wilkinson's personal philosophy is "Always think, as the brain is the best 'tool' that anyone has, and never give up." The lawyer is working on a law of Succession/Probate Practice book, a fictional novel and two other chess books. Also kept busy as vice-president of the Bar Council, he relaxes by playing chess - of course - reading, writing, playing the violin, drawing, studying foreign languages, writing chess analyses, playing football and cricket, watching sports and travelling. Wilkinson, the chess fanatic and father to sons, Andrew, 24, and Chevian, 15, and a four-month-old daughter, Tassja, and married to Shawn, also an attorney-at-law, has converted his family and many friends to the pursuit of the game. "Anything which gives people so much fun needs to be spread. "It is fun, it develops reasoning ability, discipline, restraint and caution. You are thinking two or three moves down the line." In Cuba, he notes, chess is one of the foundations of the education system. He hopes to also accomplish the same thing here. Read more about Wilkinson on ww.magnificentchess.com. In this issue, I highlighted a recent commentary written by Prof. Hans Werner Meuer, who writes about the 15 year anniversary of the TOP500 project. Meuer did a great job at recounting the history of the list and provided some interesting anecdotes of his favorite machines. Although in the past, I've offered criticism of the list, in the feature article I focused on some of the more practical aspects of the TOP500 project that Meuer discusses. That includes using the list as a historical record for tracking the evolution of high performance computing over the last decade and a half, and to project its future. One of the more positive effects of the TOP500 project -- and one that Meuer doesn't mention -- is that it helps to popularize the notion of supercomputing to the wider industry and maybe more importantly, to the general public. While this might seem superficial, the twice yearly list at least provides valuable PR for the almost invisible HPC community. Save for the occasional article in the mainstream media about how supercomputers have predicted climate changes or discovered some mystery of the universe, most of HPC is hidden from public view. The missing element in most stories about supercomputers is how they relate to the human condition at the scale of the individual. It's not that climate modeling, derivative pricing or seismic simulations are not worthwhile applications. But linking supercomputing to personal applications would inspire a new generation of scientists and engineers. Consider this. In Meuer's 15-year TOP500 retrospective mentioned above, he talks about some of his favorite supercomputers, one of which was "Deep Blue," the IBM machine that bested world chess champion Garry Kasparov in 1997. Arguably the most famous supercomputer ever built, Deep Blue ranked a modest 259 on the 9th TOP500 list. "This system, named Deep Blue, was installed at the IBM Watson Research Center in Yorktown Heights and had a best Linpack performance of 11.37 Gigaflop/s; it was an IBM SP2 P2SC with 32 processors and a clock rate of 120 MHz. But the floating point performance was not what really mattered: Each of the 32 processors was equipped with 15 special-purpose VLSI chess chips. Deep Blue was the first chess computer to beat a reigning world chess champion, Garry Kasparov. Ten years after this event, no chess player stands a chance against any kind of computer, not even against a simple home computer. One year ago, in November/December 2006, Deep Fritz played a six-game match against reigning world chess champion Wladimir Kramnik in Bonn. Deep Fritz won 4-2." The chess matchup inspired a book by Deep Blue's designer Feng-hsiung Hsu, "Behind Deep Blue," and a 2003 documentary, "Game Over: Kasparov and the Machine." Since the machine was retired after beating Kasparov, no supercomputer has quite captured the public imagination the way Deep Blue did. Why? Almost everyone can relate to playing a game of chess, whether or not they have actually done so. Contrast this with Meuer's number one favorite, Intel's ASCI Red, the first teraflop machine. Although, one of the most legendary supercomputers ever built, it's almost unknown outside of the HPC community. This machine was used to provide simulation capabilities for nuclear weapons -- an eminently useful task, but one not likely to be taken up by the average citizen (one hopes). Software with elements of artificial intelligence (AI), like chess playing, constitute some of the most compelling computing applications to the public. And while AI and supercomputing might seem like a natural fit, for a variety of reasons, the two communities never really hooked up. Today, the AI field remains fragmented with a lot of competing paradigms and not much to show for it. Most of the work never made it out of the lab or the lecture hall. After 50-plus years of research, a lot computer techies sneer at the whole AI meme. Yet it is these types of applications that have the potential to excite a new generation of technologists and motivate them to become involved in something more transformative than say quantum chromodynamics (not that there's anything wrong with QCD groupies). The commercialization of AI could help place supercomputing back into the public eye. We're not necessarily talking about "big iron" here. A lot of machine intelligence, though, will likely require massive levels of parallelism, in a tightly-coupled architecture (think manycore). Intel is currently developing a software model for terascale computing platforms that would enable such applications. Called RMS -- for recognition, mining, synthesis -- Intel believes this technology could be the basis for the killer apps of the next decade. In Ray Kurzweil's 1990 book, "The Age of Intelligent Machines," he talked about a number of AI systems that would be developed in the 21st century. At a time when Pac-Man was the cutting edge in computer games, he described computer-generated animation twenty years into the future with uncanny accuracy: "Reasonably lifelike video images of human faces ... completely synthesized and animated." He also predicted the triumph of a computer over the top human chess player by 1998 -- actually underestimating Deep Blue's accomplishment by one year. In his book, Kurzweil mentioned a number of other applications that have not yet come to pass, including the cybernetic chauffeur, the intelligent assistant, the intelligent answering machine, and the translating telephone. The latter is a machine that would automatically translate the language of the two parties as they spoke in real-time. The technology required to do so includes automatic speech recognition, language translation, and speech synthesis. All three existed at the time the book was written 18 years ago, but not nearly at the level of sophistication they are today. With the continued improvement in microprocessor power and software, it is certainly conceivable that such technologies will be incorporated into virtually every phone and phone-like device within the next 10 years. The effects of ubiquitous language translation would be enormous. That single application would not only greatly accelerate economic and social globalization, it would also revolutionize travel. By today's standards, Thomas Friedman's "Flat Earth" would look annoyingly bumpy. In the meantime, HPC will continue to be used for such tasks as saving the Earth from global warming, protecting the nuclear arsenal, and cracking the genetic code. But after that, the real fun begins. As always, comments about HPCwire are welcomed and encouraged. Write to me, Michael Feldman, at editor@hpcwire.com.